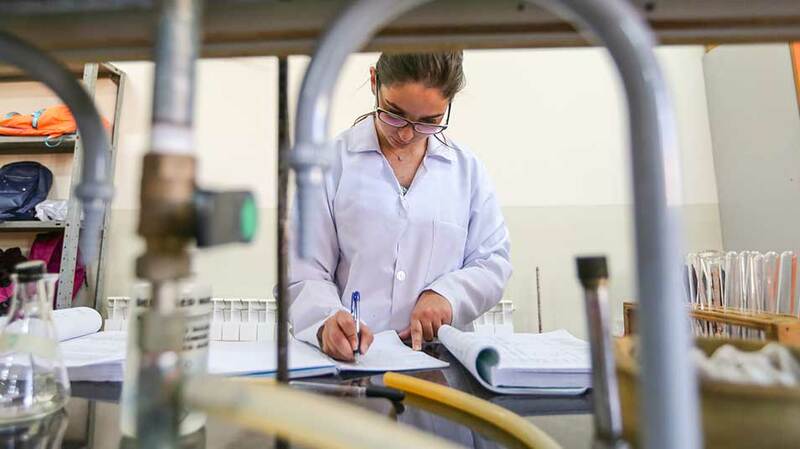 Birzeit University’s recent research efforts have surged in 2017, increasing to 118 research papers and studies published in world-renowned academic and scientific journals. This research-focused trend is continuing into 2018, with ten papers authored by Birzeit University’s researchers – joined by prominent scholars and researchers from around the world –published in some of the most well-known journals in January alone. This article will highlight these ten papers and present an abstract of each, and will be updated monthly with new research papers. “Expert system for nutrition care process of older adults,” by Tudor Cioara, Ionut Anghel, Ioan Salomie, Lina Barakat, Simon Miles, Dianne Reidlinger, Adel Taweel, Ciprian Dobre, and Florin Pop showcases a ground-breaking system for a nutrition care process specifically customized for the needs of elders. The paper, which was published in Future Generation Computer Systems, uses a dietary-knowledge base – defined by certified nutritionists - as a model for nutrition care planning. This information is used to feed an inference engine, which then identifies unhealthy dietary behaviors and early instauration or malnutrition. The system also provides intervention plans, nutrition education, diet prescription, and food ordering, all of which is adapted to the needs and requirements of the elderly’s nutritional needs and health conditions. “Planning under a colonial regime in Palestine: Counter planning/decolonizing the West Bank,” by Salem Thawaba and Maali Zeid, was published in the Land Use Policy journal. In this paper, the researchers set out to uncover the reality of planning and zoning in Area C lands, which fall under the military and administrative control of Israeli authorities. Area C covers well over 60% of Palestinian lands, the researchers say, and most of these lands are designated for exclusive Israeli use – military use, settlement building, and bypass roads construction, among others. Even more so, building in these areas is controlled exclusively by Israeli authority permit, a permission they rarely grant. In the face of all these challenges, the researchers set out to analyze the planning policies in place in Area C lands, and if there were any opportunities to mount an effective counter to those Israeli policies. Jon Sege, Marwan Ghanem, Waseem Ahmad, Hanadi Bader, and Yoram Rubin authored a paper detailing a platform for incorporation of data on groundwater vulnerability and pollution risk. The paper, entitled “Distributed data collection and web-based integration for more efficient and informative groundwater pollution risk assessment,” was published in Environmental Modelling and Software, and presents a novel methodology to tackle the two key limitations of pollution hazard information collection – the time-consuming nature of detailed investigations, and the update frequency of pollution inventories. The paper handles these two pitfalls by using GPS-tagged smartphones and swiftly incorporating any new information into a web-based risk-modeling framework. To provide evidence of the benefits of their approach, the researchers presented a case-study from the Natuf Basin in the Ramallah and Al-Bireh Governorate. “Synthesis, characterization and biological properties of mixed ligand complexes of cobalt(II/III) valproate with 2,9-dimethyl-1,10-phenanthroline and 1,10-phenanthroline,” which was authored by Amani Abu Shamma, Hijazi Abu Ali, and Shayma Kamel, and published in Applied Organometallic Chemistry journal, explored the synthesis of mononuclear cobalt(II/III) complexes with two different ligands (complex 2: [Co(valp)2(2,9-dmp)] and complex 3: [Co(valp)2(H2O)(1,10-phen)]). The paper characterized the complexes using IR, UV–Vis, and single crystal X-ray diffraction and determined the crystal structure of each complex, as well as studied the biological activity – in five gram-positive and four gram-negative bacterial strains. Moreover, the rate of bis (p-nitrophenyl) phosphate (BNPP) hydrolysis was measured at different temperatures when catalyzed by these complexes. Majdi Mafarja and Seyedali Mirjalili investigated a novel wrapper feature selection approach based on the Whale Optimization Algorithm (WOA) in “Whale optimization approaches for wrapper feature selection.” The paper, which was published in the Applied Soft Computing Journal, proposes two binary variants of the WOA algorithm to search the optimal feature subsets for classification purposes. In the first variant, the researchers aimed to study the influence of using the Tournament and Roulette Wheel selection mechanisms instead of using a random operator in the searching process, and in the second, they used crossover and mutation operators to enhance the exploitation of the WOA algorithm. The researchers proved the viability of their proposed methods tested on standard benchmark datasets and then compared to three algorithms such as Particle Swarm Optimization (PSO), Genetic Algorithm (GA), the Ant Lion Optimizer (ALO), and five standard filter feature selection methods. In “A study of VHI scores and acoustic features in street vendors as occupational voice users,” published in Journal of Communication Disorders, Yaser S.Natour, Wesam B. Darawsheh, Sara Bashiti, Majd Wari, Juhayna Taha, and Thair Odeh investigated the acoustic features of phonation and perception of voice handicap in street vendors. The researchers recruited eight-eight participants (44 street vendors and 44 controls) and analyzed the acoustic features using scores of the Arabic version of the Voice Handicap Index (VHI-Arab), as well as the acoustic measures of fundamental frequency (F0), jitter, shimmer, and signal-to-noise ratio (SNR). The researchers conclude that there was a perception of voice handicap and a possible effect on vocal quality in street vendors, and recommend further study on the work hours, educational level, and voice quality effects. Marina Valles, Pedro Araujo-Gomez, Vicente Mata, Angel Valera, Miguel Diaz-Rodriguez, Alvaro Page, and Nidal M. Farhat explored the stages for designing and prototyping, including the control architecture design of a 4 degrees-of-freedom parallel manipulator. The paper in which they detail their findings, “Experimental setup of a novel 4 DoF parallel manipulator,” was published in Mechanisms and Machine Science. The paper presented the robot design, including the inverse and forward kinematics equation, and developed the hardware and control architectures. The paper also implemented a control scheme and included the results of the tracking accuracy. “Long-term health consequences of movement restrictions for Palestinians, 1987-2011” set out to estimate the long-term association between Israeli-imposed restrictions on travel for medical care in the occupied Palestinian territory and health status in adulthood. The paper, written by Clea A. McNeely, Brian K. Barber, Rita Giacaman, Robert F. Belli, and Mahmoud Daher, was published in the American Journal of Public Health, and used the event history calendar methods to collect annual data from 1987 to 2011 from a representative sample of 1778 Palestinians aged 32 to 43 years. The study, which was published in Knowledge-Based Systems, proposes an efficient optimizer based on the simultaneous use of the GOA, selection operators, and Evolutionary Population Dynamics, in the form of four different strategies deployed to mitigate the immature convergence and stagnation drawbacks of the conventional GOA. In the first two approaches that the researchers proposed, one of the top three agents and a randomly generated one were selected to reposition a solution from the worst half of the population. In the third and fourth approaches, Roulette Wheel Selection (RWS) and Tournament Selection (TS) were utilized to select the guiding agent from the first half to give a chance to the low fitness solutions. The paper, which was published in the Journal of Molecular Graphics and Modelling, explores simulations which show drastic conformational changes of the polymerase structure as a result of S44 phosphorylation. The researchers argue that Phosphorylation-induced conformational changes transform the closed (active) enzyme structure into an open one, and the researchers conclude that the phosphorylation of S44 is likely the major contributor to structural fluctuations that lead to loss of enzymatic activity.